Hitler is the potential suicide par excellence. He owns no ties outside his own ego, and with its extinction he is released and absolved from all cares, responsibilities and burdens, He is in the privileged position of one who loves nothing and no one but himself. He is completely indifferent to the fate of States, men. Commonwealths, whose existence he stakes at play…So he can dare all to preserve or magnify his power, that power to which he owes the present, and which alone stands between him and speedy death. But alas, anti-Nazi leadership was deficiently absent. Germany and the world paid the price for the choices made by the country’s most powerful decision-makers. Like the intellectual and medical elites, the politically influential Nationalist Party despised democracy, the Weimar Republic, and longed for the day when the elites, the landed aristocracy and the military officer corps, that once had wielded power in Imperial Germany could resume their traditional prerogatives. They were equipped with a mentality that made it easier for Hitler to acquire power because their attitudes bore certain similarities with the National Socialists. They shared his perception that Jews dominated the economic and cultural life of Germany, abhorred the parliamentary system with its unmanageable twenty-nine political parties and welcomed its emasculation, and demonstrated a willingness to suspend the rule of law and disenfranchise those whom they feared. The creeping authoritarianism in the system was most embodied in the office and person of the octogenarian President and former Field-Marshall Paul von Hindenburg, a conservative nationalist who not merely appointed Chancellors but could dissolve the Reichstag at any time and could promulgate laws bypassing parliament. Since 1930 there had been no parliamentary majorities and Hindenburg fully utilized the centralizing powers enshrined in the constitution. 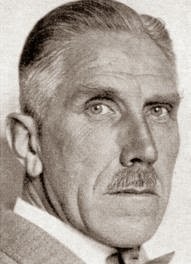 Franz von Papen, whose background was in the Catholic Center Party, but whose ideology placed him to the right with the Conservative Nationalists, was appointed Chancellor at the end of May 1932. 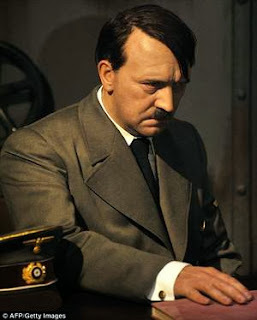 With no popular support, he did not dare to face the Reichstag and lose a no-confidence vote; consequently he requested Hindenburg to dissolve parliament and call elections which resulted in the Nazi euphoria from the July results. Hitler seized upon the results to demand the chancellorship for himself, which Hindenburg, contemptuous of the upstart former corporal, curtly rejected. As Chancellor, von Papen used the radio to announce policies such as cutting welfare assistance to needy unemployed and ignored parliament. In the summer of 1932 of murder and arson, he exploited the violence between Nazi and Communists street fighters where civilians were killed in the crossfire to stage a coup d’état against a socialist-led Prussian government. He appointed a Reich commissioner as Prussian Interior Minister who then proceeded to purge socialist, Catholic and Jewish civil servants, and remove the prohibition against Nazis becoming civil servants. In his mind, he likely believed that his maneuvers were not all that different from the Nazis if they acquired power. Indeed, they were similar to the initial measures of 1933-34 that drove Jews and the political left out of the civil and military services, the professions and cultural life. But where the nationalists would have likely ended their discriminatory policies, the Nazis were just beginning. But an authoritarian nationalist like von Papen was more successful at sabotaging democratic institutions than in using the prerogatives of his office to retain power. Although Hindenburg had authorized von Papen to dissolve the Reichstag when its members convened on September 12, they subjected him to a humiliating defeat of non-confidence because he did not have the dissolution decree at hand. Another election was called leading to the November results and the loss of Nazi support, even though the National Socialists still retained the largest number of seats. 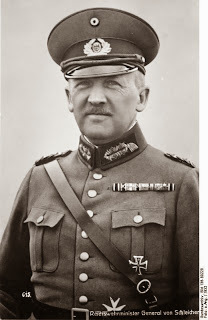 Hindenburg, was still prepared to keep von Papen as Chancellor, but the Minister of Defence, General Schleicher refused to use the army to support a highly unpopular Chancellor if mass demonstrations occurred. Hindenburg had no choice but to dismiss von Papen and appoint Schleicher as his Chancellor. After his removal from power, von Papen displayed no scruples about feeding Hindenburg’s vanity and turning the old man’s dislike towards Schleicher into disaffection. Hindenburg expected to be treated as a feudal overlord and consequently was susceptible to flattery. Schleicher possessed no gifts for messaging the ego of the aged Hindenburg, who gradually became susceptible to the chicanery that von Papen wielded over him. The former Chancellor was determined to regain power and remove the current incumbent whom he blamed for his own downfall, all the time blinded to the reality that the most powerful threat to his power emanated from the Nazis. His success was evident when Hindenburg not only refused to dissolve the Reichstag and permit a temporary emergency rule that Schleicher had requested, but also refused even to permit the dissolution to be followed by the calling of elections. Had Hindenburg supported emergency rule for even six months, it is most likely the Nazi movement would have collapsed, and Hitler would never have eased into power. One piece of evidence to support this hypothesis was that Schleicher as a last order of business in his fifty-seven days as Chancellor gave final approval to a financial measure he needed to implement job creation programs. Half a billion marks for public works projects were set aside and in the next six months two million of the unemployed found jobs, something that the Nazi propaganda machine efficiently exploited to ensure that Schleicher never received the credit. With an improvement in the economy and frustration accelerating among the Nazi rank and file, it does not appear unreasonable to suggest that Hitler might have carried out his suicide threat and that would have been followed by the implosion of his Party. Even disregarding this possibility, had Schleicher been allowed to establish a temporary military dictatorship, with the opposition of Communists, Socialists and Nazis fragmented and the army already being prepared to deal with civil disorders, this scenario would have been vastly superior to the Nazi regime that transpired. The reasons for the President’s failure to endorse his incumbent Chancellor resided largely in the backroom intrigue and mendacity that succeeded in wearing down the resistance of a senile Field Marshall and appointing Hitler as Chancellor. Much of the responsibility lay with von Papen, a prime gravedigger of the Weimar Republic. This ambitious but hapless backroom player arranged a secret meeting between a Cologne banker sympathetic to the Nazis, Hitler and himself, conferring upon Hitler credibility and respectability he had not previously warranted. Von Papen then proceeded to deceive Hindenburg by suggesting that Hitler would accept a coalition with himself as Vice Chancellor. When Hitler remained adamant about becoming Chancellor, von Papen persuaded the frail President’s closest advisors, including Hindenberg’s own son to pressure the old man to accept Hitler as Chancellor. Finally he duped the President into believing that Hitler would respect a parliamentary government supported by the Catholic Center Party. Hindenburg must bear the greatest responsibility for handing power over to Hitler because he had been elected ten months previously on the pledge that he would defend the constitution against the Nazi threat, and despite his personal aversion to Hitler and the Nazis, he feared democracy even more. Behind him stood the feckless and preening von Papen who vastly contributed to Hitler’s access to power. 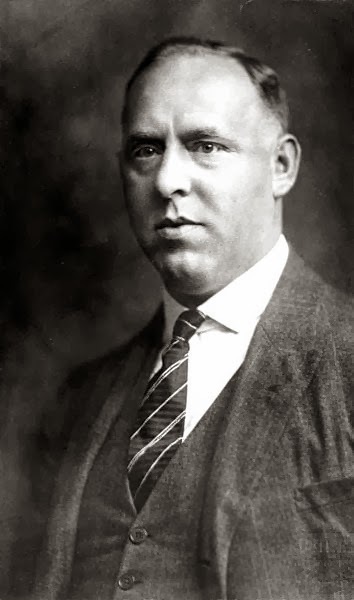 This obtuse patrician, who had no understanding of either the populist appeal of Nazism or its goals, had the temerity to opine that with him occupying the Vice Chancellorship with the blessing of Hindenburg: “In two months we’ll have pushed Hitler so far into a corner that he’ll squeal.” In actuality, instead of marginalizing Hitler, von Papen validated the former corporal’s belief that destiny would guide him (Hitler) to power as the “sleepwalker,” who would exploit the delusions of vain, self-important politicians. Von Papen and Hindenburg, to name the most prominent of the ultra-conservative nationalists, were the true authors of the stab-in-the-back of Germany, but they scapegoated the Weimar Republic with its cosmopolitan spirit and pluralistic society. Beyond personalities, it is essential to stress that the traditional elites, those that had wielded power in Wilhelm’s Germany, wanted to bury the despised republic and restore the monarchy, and believed that they could use the inexperienced Hitler as their tool. At worst, he was a necessary evil, but with his rabble rousing skills and the muscle of the SA behind him, he could destroy both the Marxist threat and the democratic left, the trade unions, the welfare system and the parliamentary system that collectively had diminished their power. With his passion to jettison the Versailles treaty, rearm Germany and transform it into a great power again, Hitler would be serving their interests. Since his first cabinet was stacked with mostly old-line conservatives whose experience could “tame” him, Hitler would at best be a figurehead. Alas, these myopic self-serving politicians, their business allies and the widespread conservative press deluded themselves with wishful thinking that underestimated the man who possessed a much surer grasp of mass politics than they did. Hitler not only wanted to destroy the republic; he had no intention of reviving something like the imperial rule of the Kaisers with its elitist politics and deferential social hierarchies. Within six months, he ended a conservative nationalist coalition government, emasculated the parliamentary system, scuttled the rule of law, established the concentration camps and set in motion a system that was far more ideological and brutal than the conservatives could have ever conceived in their wildest imagination. Indeed, most of them were lucky to escape with their lives. General Schleicher and his wife were included among the murdered in Hitler’s purge of the SA in June 1934. Also although von Papen survived, his two Secretaries were murdered when he was put under house arrest.